Many food trends come and go, but bacon never gets old. Whether plated with eggs sunny side up, or with pancakes and maple syrup for breakfast, fried to a crisp and crushed as toppings for nachos, sandwiched in between buns in a burger, or perhaps served with maple syrup ice cream for dessert—bacon is good with almost anything and everything, and instantly takes dishes from boring to exciting. Shirts, mugs, accessories, and all sorts of merchandise have even been made to proclaim people’s love for the good stuff. 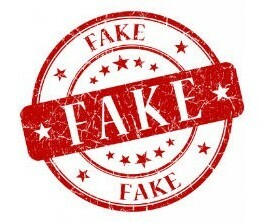 Fried processed pork may not be the best thing for your health, but it is known that there is rarely ever such a thing as “bad bacon” when it comes to taste. But which bacon brand in the market gives you your money’s worth? A few members of our team tried out 4 of the most commonly found supermarket brands, and we’ve jotted down what we have to say about them. We’ve rated them according to tastiness, referring to how much flavor the bacon has to offer. The two other criteria we set were juiciness, as well as the meat-to-fat balance of the bacon. 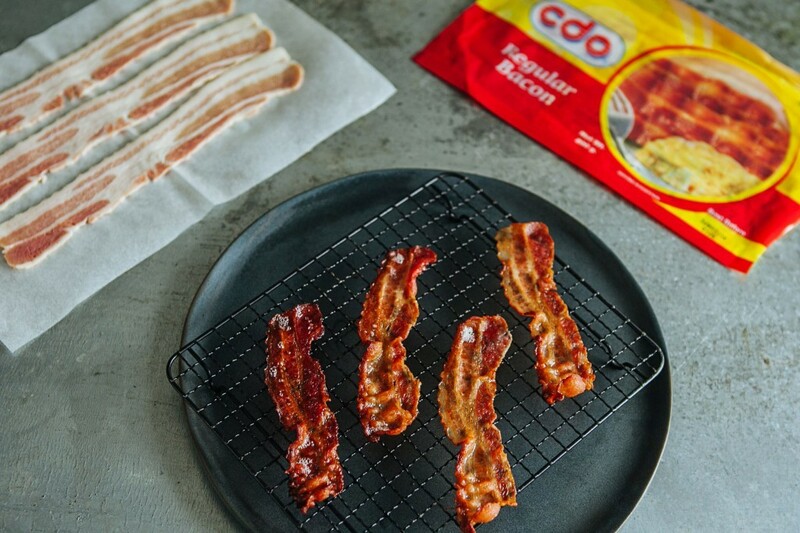 CDO’s regular bacon was the thinnest cut of the lot, and therefore took the shortest amount of time to cook. 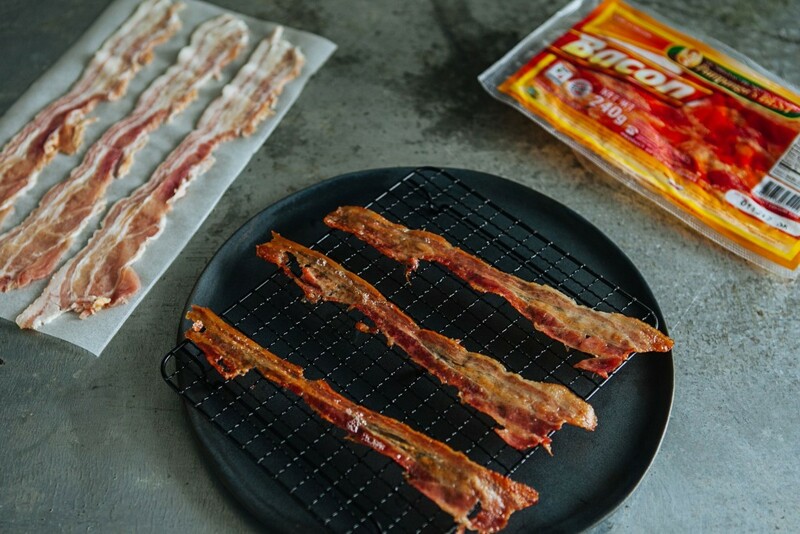 This makes it quite convenient for those who can’t wait to get their fix of fried goodness, but also puts it at risk of being overcooked or too charred, so you should probably be careful not to burn the bacon. It already has a smoky barbecue-like flavor in itself. However, we didn’t necessarily like this, since we prefer our bacon straightforward, with no frills. In terms of juiciness, there wasn’t much there because of its thinness. The fat-to-meat ratio was also a bit off, with the bacon being composed of fat more than anything. 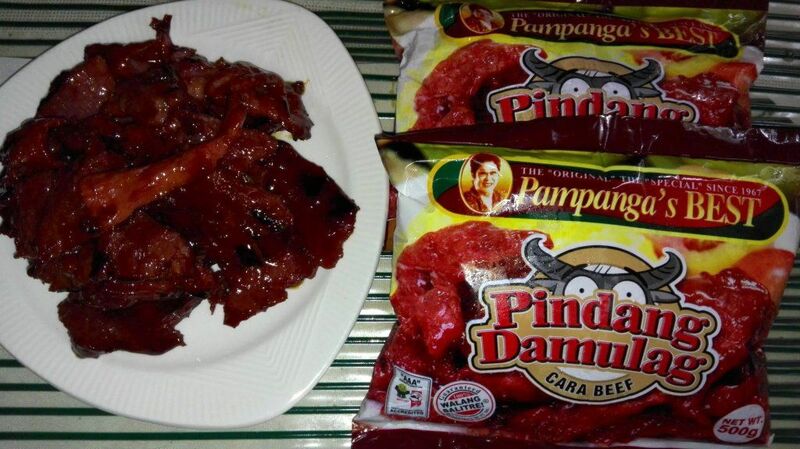 Pampanga’s Best’s bacon had more meat to offer than the other bacon brands, and proves to be sulit for the amount you get for its price. Out of all four, you could definitely tell that this was the meatiest. But some of us think this misses the point of bacon, being that it needs just a little more of the deliciously unhealthy and oily fat we all love so much. The meat, however, was tender and juicy. In terms of tastiness, I personally thought it was just a little too salty. But most of the team thought that this bacon was quite flavorful or malasa, which gave it plus points. A note on cooking this bacon would also be to watch it carefully as it simmers, as it tends to shrink quite easily. 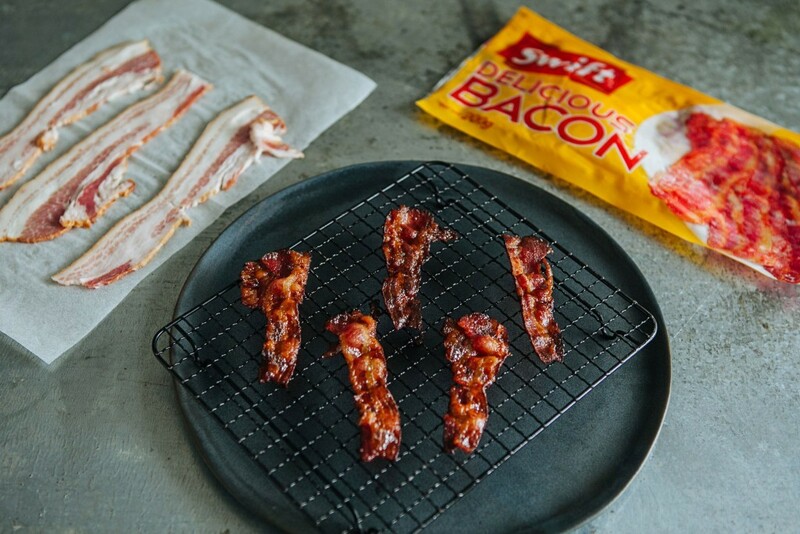 What we all had in common to say about Swift’s bacon was that it was not as tasty as the other bacon brands. It was leaning towards bland. It was, however, far from dry—but not as juicy as Pampanga’s Best. It had quite a good meat-to-fat ratio, except the fat didn’t prove to be as savory as one would expect from bacon. Overall, we’d say Swift’s bacon is not that big of a steal, as it costs Php115.25 for 200g—the second most expensive on this list. But it still does the job of satisfying bacon lovers’ cravings. 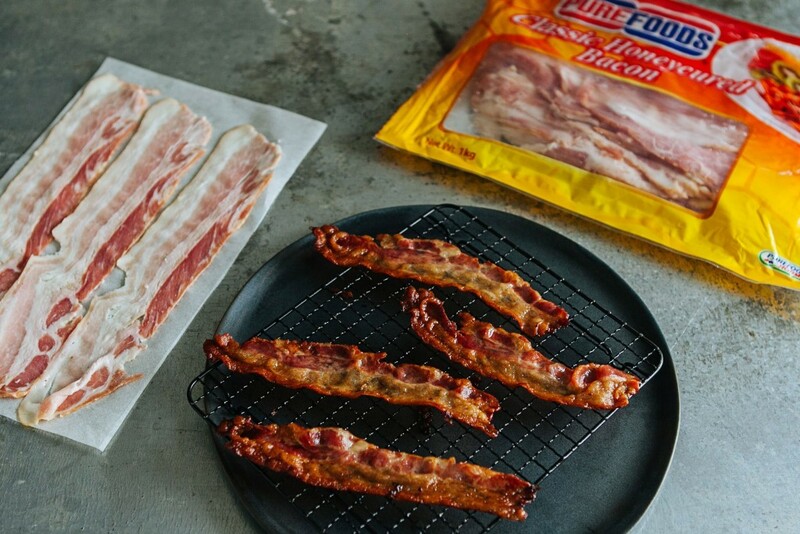 Purefoods’ Honeycured Bacon sure does come close to the perfect idea of bacon from all we tested. Out of all the 4, it had the best balance of meat and fat, and was also the one with the largest, most evenly-sized slices. It was the juiciest, and was oozing—but not dripping—with just the right amount of oil that was so good that you knew it was bad for you. It also had that extra crunch, while also being quite meaty.